With globalism and technology on the rise, people now more than ever are aware of larger issues threatening our global community. Young people in particular have answered the call to step up in the global fight against climate change. Unfortunately, a strong intention to fight for climate is not enough. Perhaps like many bright eyed high school students, I was filled with overwhelming hope and self-assurance when I first chose my college major. If I could only earn my degree and land a job, I could do my part in saving the world…it was so simple. Maybe too simple. A year into college, after the umpteenth time designing a bridge in lab, I finally had enough. Nothing I was learning in school was making a difference to anybody. I didn’t agree to pay $30,000 a year to design bridges or discuss quantum mechanics. When was I going to learn how to save the world? The problem is, we can’t have a meaningful discourse on saving the world without first discussing climate change, human rights, environmental racism, economics, feminism, and so much more. But how was one to learn so many things when constricted to a single major? It was time to take my education into my own hands. 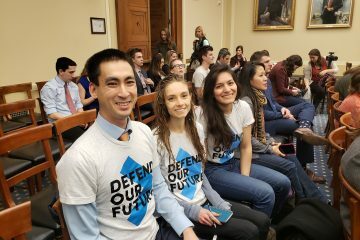 In my time between classes, I decided to intern with Defend Our Future, a nonpartisan, student led climate activism group. The learning curve was steep at first. As an introverted stem major, I wasn’t accustomed to approaching people to talk politics. I wasn’t prepared to attend meetings and events with experts and representatives. But with time, I realized that these new challenges enriched my worldview far more than any classroom could. Every day, we talked to like-minded students and faculty about their thoughts and hopes for climate action. We’ve wandered through so much of Philadelphia and helped almost 800 people, who wanted to share their voice, register to vote. 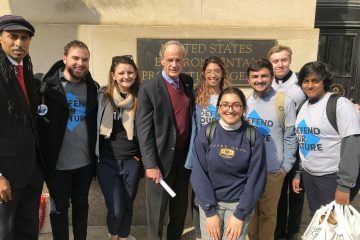 Between our daily “pledge to vote” campaign, we organized outreach events to meet, teach, and learn from citizens from all walks of life who had their own stories to share about climate change. 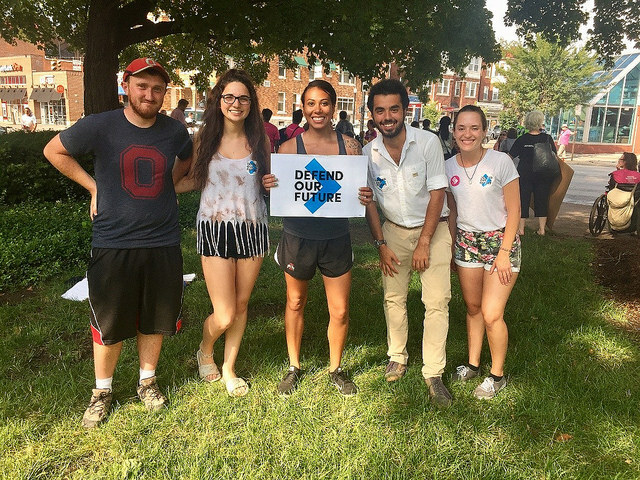 By the end of the internship, we had teamed up with artists, brewers, engineers, entrepreneurs, conservationists, local representatives, and even a carnival group to encourage citizens to go out and vote in favor of climate action. 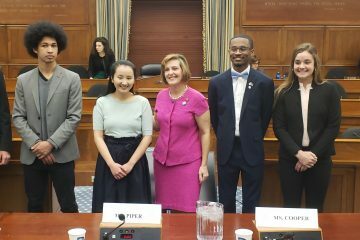 It might not sound like much, but I learned that becoming informed and exercising our right to vote is the first and most important way to make our voices heard. In today’s age, it’s almost impossible to escape the crushing weight of the issues we face. We may often feel that our dreams are not enough to make a sizable dent. But getting out there and engaging with passionate individuals who have their stories and expertise to share is the only way to find a true, holistic solution to climate change. I hope that all students and young people strive to learn beyond their majors to work together and make a difference in the coming years. 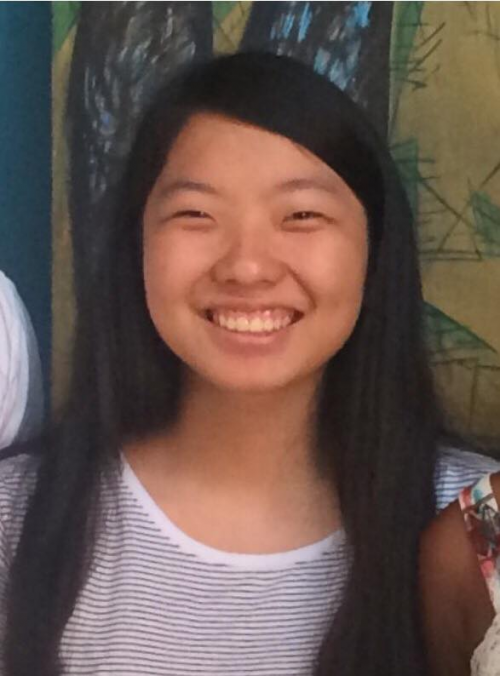 Melody is a Defend Our Future Intern at Drexel University.